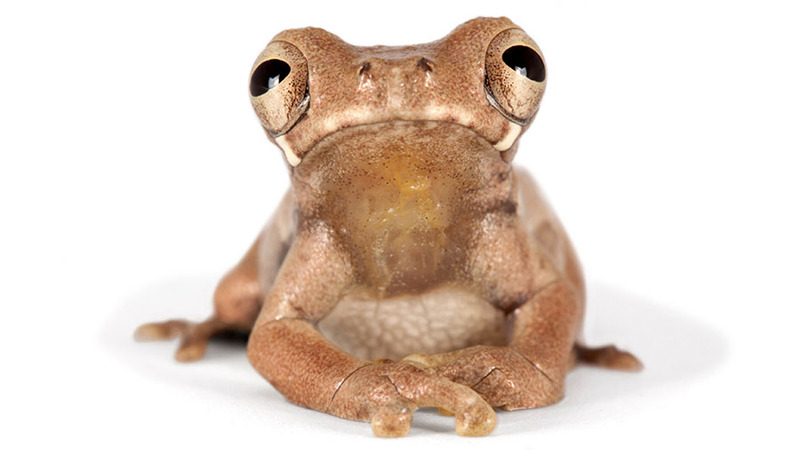 Two new treefrog species were discovered in the Amazon Basin of Bolivia, Peru, and Brazil. Both had been previously misidentified as another superficially identical species. Curiously, one of them received a name translating to ‘demon’ or ‘devil’. The second one was named in honor of famous American filmmaker Stanley Kubrick, because of his masterpiece A Clockwork Orange. Having conducted analyses of genetic, morphologic, and bioacoustic data, scientists C. Daniel Rivadeneira, Dr. Pablo J. Venegas, and Dr. Santiago R. Ron concluded that the amphibians represented two previously unknown species that used to go by the name of the Sarayacu treefrog (Dendropsophus parviceps). As a result of this research collaboration between Ecuador’s Catholic University (PUCE) and Peru’s Centro de Ornitología y Biodiversidad (CORBIDI), the treefrogs were recently described as new to science in the open access journal ZooKeys. Furthermore, both new frogs, scientifically listed as D. kubricki and D. kamagarini, are characterized by having a bright orange blotch on the shanks, reminiscent of the ‘orange pieces of nature’. On the other hand, the species name kamagarini refers to ‘demon’ or ‘devil’, as per its translation from the Matsigenka language spoken in southeastern Peru. One of the characteristic features of the new species D. kamagarini are namely its horn-like protuberances on the upper eyelids. Stanley Kubrick – arguably one of the most brilliant and influential film directors of all time – left an immemorial legacy in cinema. His masterpiece, A Clockwork Orange (1971), was based on Anthony Burgess’s 1962 novel of the same name.